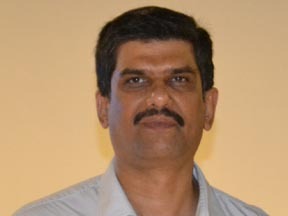 The Western India Chapter of the Travel Agents Federation of India (TAFI) became the first association chapter to initiate a joint bank guarantee scheme for its members for hotels. It has started the pilot project with India Hotels Company Limited (IHCL). 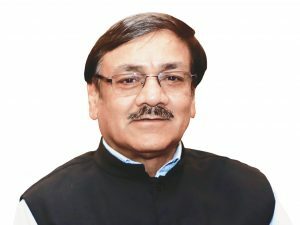 Abbas Moiz, Chairman, TAFI (Western India), said, “TAFI has signed an agreement for credit facility for small and mid-sized agents on the lines of a joint bank guarantee arrangement. With this, mid-sized agents will be able to get credit from IHCL for their domestic hotels for booking of up to eight rooms. This is a pilot that IHCL is running with the Western Indian Chapter of TAFI. It could be a new stream of income or business for agents. It is like getting recognition directly from the hotel rather than going through a third party aggregators or online portals. You are now getting a chance to create an identity for yourself and building a relationship with them with a very good arrangement and at a very good price.” Moiz adds that while some of them are already booking the hotel directly, this way offers a bit of leeway and extends a credit facility for at least for a month as long as they don’t cross that slab. “It allows you to pay through a centralised billing and accounting is not an issue here. It has its advantages and that is why we thought of offering this to our members,” he says. 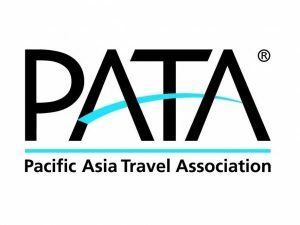 In an effort to promote inbound tourism from important source markets, PATA India Chapter, in collaboration with Ministry of Tourism, will conduct India Tourism B2B Meet to Europe from September 25-October 4, 2018. Meetings are proposed to be held with travel agents and tours operators in Rome, Milan, Frankfurt, Barcelona, Geneva and Paris. The roadshow will commence with an introduction of sellers and a 15-minute Incredible India presentation, followed by a 5-minute product presentation by Air India. Each roadshow will have a two-hour B2B session between Indian sellers and local tour operators and travel agents. All these markets have a variety of travellers representing both high end as well as mid-market. Their interest in India as a preferred destination is well established over many years and is focused on its history, culture, wellness, beach tourism amongst others. Air India will support the association with preferred air fares for delegates participating in these roadshows. 100 per cent of the basic fare will be waived on each ticket as per the applicable booking class for such tickets. Participants will only be charged applicable taxes, fuel surcharge and government levies for travel. Authority for tickets will be issued on a first come first serve basis, only after full non-refundable participation fee has been paid by the participating organisation. Skål International India’s National Congress will be held from August 17-19 in Kolkata. 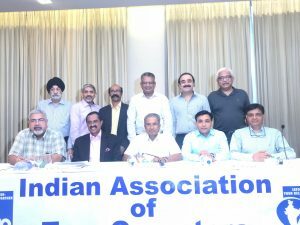 Commenting on the upcoming events of the association, Ranjit Vig, Secretary, Skål International Delhi said, the general body’s AGM will take place on August 14, 2018. The Skål International India’s World Congress will be held in Mombasa, Kenya later this year, he said. He announced this during the luncheon meeting hosted at The Park, New Delhi. During the meeting, special invitee and guest speaker, Rajeev Talwar, CEO, DLF addressed the members on promoting tourism within India. He said, “The industry should focus more on promoting destinations within India for Indian tourists. 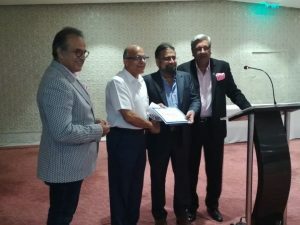 The domestic market has huge scope of growth.” Talwar along with Sunil Ghadiok, President, Skål International Delhi also felicitated new Skål members with membership certificates. 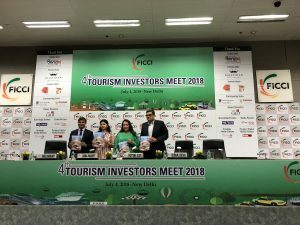 Highlighting the foremost areas of developing a robust tourism infrastructure and the current scenario of tourism in India, FICCI in association with Yes Bank has released a knowledge report titled ‘Tourism Infrastructure Investments: Leveraging Partnerships for Exponential Growth’, during the Tourism Investors Meet 2018 held in New Delhi. The It also features facts and figures pertaining to the tourism sector and suggests recommendations to establish India as a global tourism hotspot. Usha Padhee, Joint Secretary, Ministry of Civil Aviation, Government of India, unveiled the report during the meet along with Bhupesh Rathore, President & Head – Strategic Government Advisory, Yes Bank; Dr Jyotsana Suri, Past President, FICCI & Chairperson, FICCI Tourism Committee; Dipak Deva, Co-chairman, FICCI Tourism Committee and Rahul Chakravarty, Consultant – Tourism, FICCI. Rathore also gave a presentation focusing on the potential and development of tourism across various sectors of the industry. Travel and tourism investment is expected to rise by 6.7 per cent per annum over the next 10 years to Rs 5,546.3 billion in 2028, according to FICCI-Yes Bank Knowledge Paper titled ‘Tourism Infrastructure Investments- Leveraging Partnerships for Exponential Growth’. Usha Padhee, Joint Secretary, Ministry of Civil Aviation, said that the tourism and civil aviation ministries are engaging continuously to identify solutions and implement them for the growth of both the sectors. “The way forward is a focused approach for evolving tourist places under the aviation connectivity scheme and expanding existing routes under UDAN scheme including helicopter routes in hilly and north-eastern regions. This will provide good infrastructural support to the tourism sector,” said Padhee. She also added that the Ministry of Civil Aviation is working to remove bottlenecks in remote and regional areas by providing proper navigation means, technology, better security and safety. 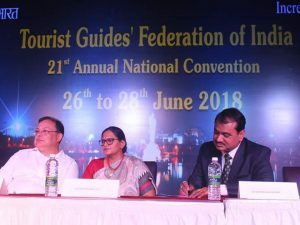 Dr Jyotsna Suri, Past President, FICCI & Chair, FICCI Tourism Committee and CMD, Lalit Suri Hospitality Group, in her address said that increasing connectivity will boost tourism, adding that ‘one flight per day to Khajuraho will build the demand eventually’. 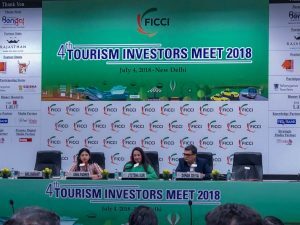 Dipak Deva, Co-Chair, FICCI Tourism Committee and MD, SITA, TCI & Distant Frontiers also presented his views on the growth of tourism in the country at the 4th Tourism Investors Meet held in Delhi. The Federation of Indian Chambers of Commerce & Industry (FICCI) will inaugurate the fourth edition of its Tourism Investors Meet (TIM) today. During the interactive conclave, exhibiting destinations will showcase their policy and facilities to soliciting investment in tourism infrastructure. This is done through pre-scheduled structured face-to-face business meetings between the state governments and prominent investors. Last year, TIM witnessed participation from several state governments and over 150 investors from various parts of the country. 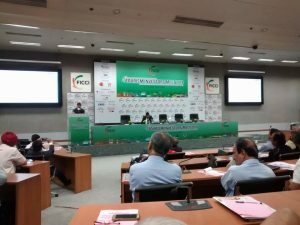 The two-day event saw presentations made by the states, followed by more than 200 structured face-to-face business meetings between the states and the investors.